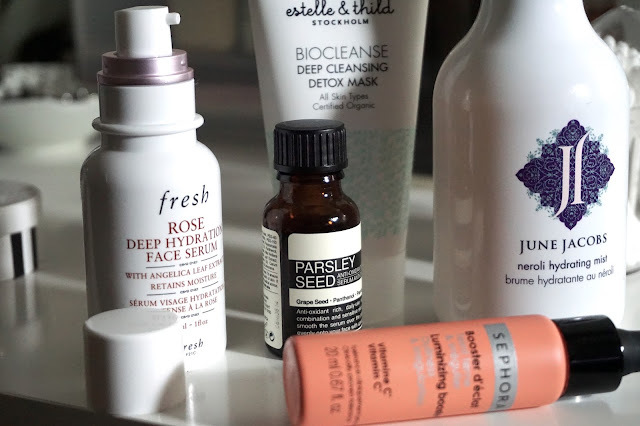 You guys know I'm a huge skin care junkie - I enjoy switching up my skin care regime to see what's good and what's not good for my skin. 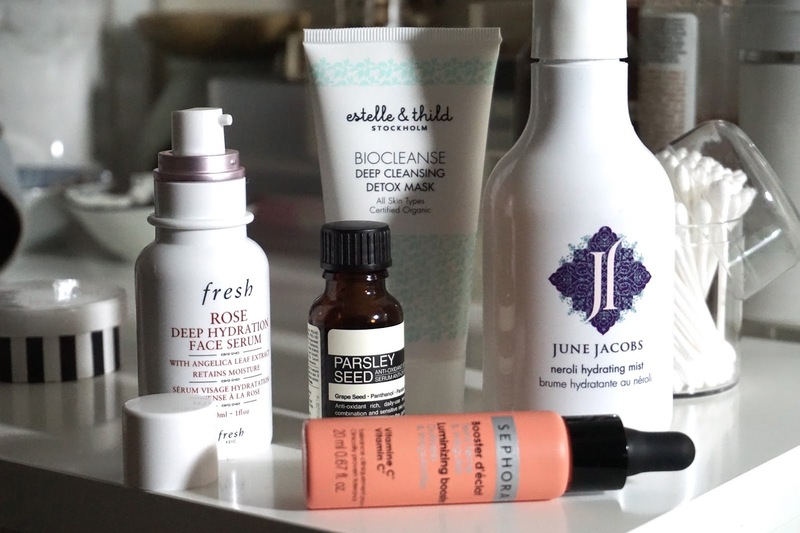 I've been enjoying these bits that I recently received from Sephora and Aesop as PR samples. Other than the fact that these are beyond non-mainstream skin care products (which is tempting), they are all similar in a sense that they have ingredients that are more natural than most mainstream luxury skincare products. You might have heard that Rosewater is extremely beneficial to the skin, this is also the reason why skin care with Rose ingredients in them are more expensive. Rosewater helps for hydration, healing cuts and wounds, clean pores and it even helps you sleep better. This is why I'm putting this serum at the top of today's list - this lightweight serum absorbs extremely well and it really helps to regenerate the skin cells, leaving the face feeling ultra fresh, smooth and healthy. Read more about the benefit of Rosewater here. 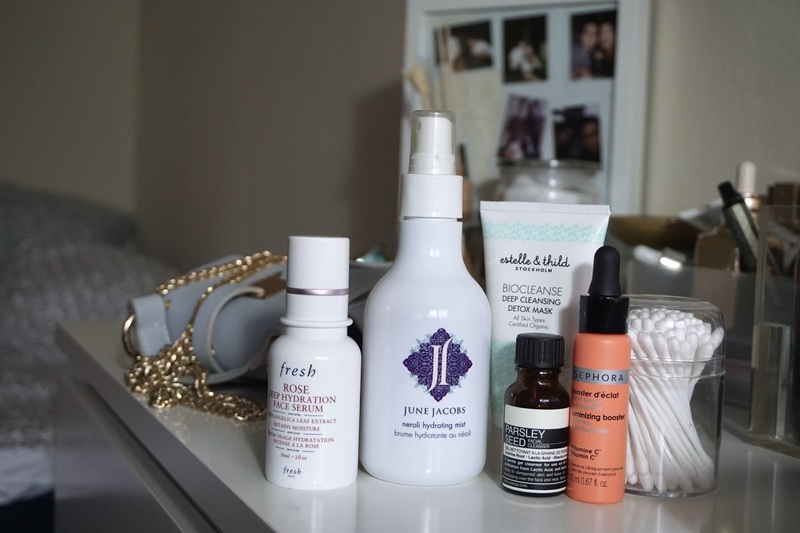 Frankly speaking, I'm a newbie to June Jacob's but this hydrating mist made a really good first impression. The mist's main ingredient is Bitter Orange which explains the fresh orange scent but it feels really fresh on the skin. I use this twice a day whenever my face feels like it needs a pick-me-up. Hands up if you hate waiting for the mask to sink in! Usually, masks require around 20 minutes to sink in before you can wash them off but this mask only needs 5 minutes! The mask is great to an entire face detox, great for the sudden breakouts - another plus point is that it doesn't sting. Great for days when you need a quick detox on the face like in the morning when you're on a hurry for work. This came to my surprise, I was instantly intrigued when I saw the word "booster". Anything with the words "booster", "mist", "serum" I'm in. I enjoy having lightweight skin care on the face because I think it works better in the mornings especially when you want to add on make up on top. This booster smells AMAZING, very fruity and fresh, and it is packed with Vitamin C that helps minimise dullness, enhance radiance and resulting to a healthier glow. I got this as a sample from an Aesop event - yes, I'm definitely a goodie bag hoarder. I love how it doesn't have a fragrant scent to it and it doesn't dry out the skin. This is a sworn favourite to almost all the Aesop users I know of.